Red Rice Yeast Cholesterol - Is red rice yeast good for lowering high cholesterol? Pure and simple, red rice yeast is good for lowering high cholesterol. In China, the use of red rice yeast for medicinal purposes dates back 1200 years. Red rice yeast, is a red coloured product, a Monascus purpureus yeast which has been grown on rice. Why does red rice yeast lower cholesterol? Red rice yeast contains Monacolins; Statin drugs are a type of monacolin. Monacolins inhibit cholesterol synthesis in the liver. 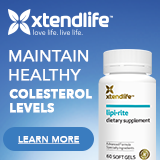 In fact some of the strongest cholesterol lowering drugs, such as Mevinolin and Lovastatin are statin drugs and so contain monacolins as found in red rice yeast. The big difference between using red rice yeast and the anti-cholesterol drugs, is that the drugs provide standardised measures of monacolins in high dosages and are prescribed by a doctor to meet your specific needs. Red rice yeast, on the other hand, may lack standardisation to some extent and is seldom monitored by a physician who knows how to treat your cholesterol. Richard N. Fogoros, M.D., points out, if you are going to use the monacolins through red rice yeast, why not use the monacolins via the available standardised drugs and get the benefit of the years your doctor has most likely treated cholesterol in others for? My answer to this is simple. The dose in statin cholesterol drugs is so high that a wide variety of adverse side effects exist. When red yeast rice is used in herbal alternative medicine, the dosage is much less lower and dangerous side effects appear to be non-existant, but the alternative medicine is also quite effective in lowering cholesterol. The dosage of red rice yeast for adults over 18 years old: 1,200 mgs of concentrated red rice yeast powder twice daily with food. Should see noticable improvements in cholesterol levels in about 3 months. Always best to consult your health care professional before starting treatment with red yeast rice. If one is allergic to red rice yeast, coming into contact with it may be life threatening. Other possible adverse reactions may be similar to the monacolin drug lovastatin: Heartburn, gas, bloating, muscle pain / damage, muscle weakness, dizziness, asthma, bleeding and or worsening of bleeding conditions, kidney problems. In all likelihood though, because the red yeast rice is not taken in alternative medicine in high dose forms, it appears quite safe for the vast majority to lower their cholesterol with. Red rice yeast products are contraindicated if liver disease is present, or if pregnant, or if breast feeding, or if consuming alcohol, or if taking other cholesterol lowering drugs / products, or if taking other products that also contain red yeast rice. Quite a long list of precautions and there are so many more, which is why I again suggest it is best to discuss red yeast rice with your doctor prior to using it to lower your cholesterol levels. Much of the information on red rice yeast has been obtained from material put out by the Mayo clinic and Medline - their material is frequently duplicated, appears good, but can be diffficult to follow. Also information was obtained from reading a number of books on alternative medications for high cholesterol.